You can find this excellent bootleg (mp3) in www.u2star.com/forum/. You have to sign into the forum, and send 15 post, at least. If you do this, you could see the menu ‘U2 live’. Enjoy!. 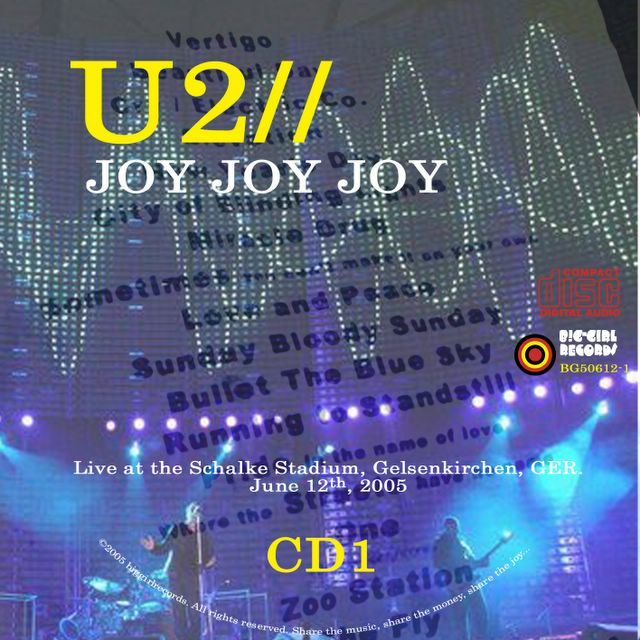 Live at the Schalke Stadium, Gelsenkirchen, GERMANY (June 12th, 2005). Recorded: U2Seek. Remastered: B!gGiRL. Super video live at the Chicago!? The original of the space!